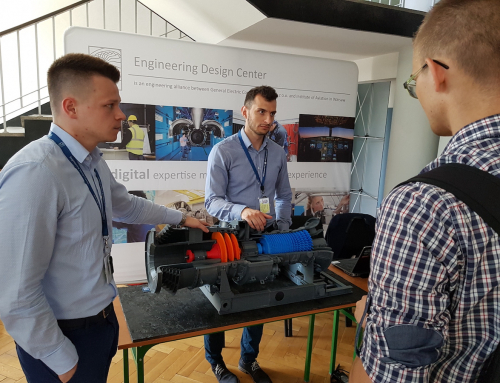 Every year Engineering Design Center (EDC), located in Warsaw Okecie area, welcomes young students from various Technical Universities around Europe to join our team for a one-month internship program. It is obvious that such an assignment is challenging for young adepts of engineering, as they are trying to confront university knowledge with the “real” engineering world, but on the other hand it is a great opportunity to work daily in the international engineering environment. While on practice, each student gets the opportunity to work on real problems, get acquainted with the engineering world and software used. Company, as a potential future employer, can easily check the abilities of such a person by means of people, software or technical skills. From the statistical point of view, more than 70% of people accepted for the internship programme, land a position within the company. In today’s modern and fast changing world where our thoughts about a dream job needt to be confronted with real life it is good for young engineers to at least “taste” the work and decide if it matches their interests. Below you will find some information from young EDC engineers who answer the most common questions about internships/work at EDC. Hope this information will help you to decide to join our team and start working in what we call the best engineering adventure in the world. To apply for practice/work at EDC please e-mail us your CV in English to [email protected]. – What type of projects did you work on during your internship? Daniel – The internship begins from a few days of immersion. It helps to experience the atmosphere of the company and the projects various groups are working on. During the internship I was engaged in the same projects that our team was handling. Of course, at the beginning, each step was precisely discussed and checked. As my skills grew, the rank of the problems I was involved also gradually increased. I believe that each student of a technical branch who is interested in computer aided design; aeronautics or aircraft engines, would benefit greatly from such an experience. – Did your studies prepare you for this work? Daniel – Naturally, my studies gave me some theoretical background but this is not enough. Skills such as finding appropriate approach to the problem, choosing and using proper engineering tools for separate projects need to be learned. The internship gives an excellent opportunity to see how knowledge from the studies can be used at work. Pawel – Not really. At university there is a lot of theory but almost nothing about how to work on projects, how to deal with other people, how to solve real problems that extend beyond technical issues. I believe the internship at GE gave me a chance to learn at least some of this. – How has this internship impacted your post-graduation goals? Daniel – The internship gives the employer a chance to learn the skills of the intern and to appraise their ability to adapt to new conditions. It is much easier to present oneself to the employer during one month of an internship than during 20 minutes of an interview. EDC interns are very often hired by one of the GE businesses at EDC. – Why did you decide to take part in the Internship Program at EDC and what did you learn during the internship? Daniel – I was always interested in machine design and aeronautics. When I decided to apply for an internship at EDC, I wanted to make sure that this is the place where I could develop my interests and work on things I like. I wanted to use the newest engineering tools and experience how they can be applied. I have learned how to work in the team and I saw what an aircraft engine design process looks like in an international company. – How long have you worked at EDC and what is your position/ job title? Magda – I have been in EDC for 8 months now. I am a Design Engineer. 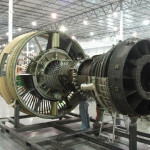 To be more specific, I help the hardware owner of the GE 90 HPC. This includes manufacturing support and contact with the supplier in order to give various engineering help. Daniel – I have been working in GE Aviation as a Design Engineer for 10 months. I deal with CFM56 and CF34-10 engines. Pawel – I have been working at EDC for over 3 years, all this time in the Combustion group, where I have evolved from a Manufacturing Support Engineer to the CF34-3 Combustor Hardware Owner. Some time ago I was enrolled in the EEDP program and currently I am on a 6-month assignment at ACoE supporting LM6000 LPT engineers. – What do you like the most about working for GE? Magda – The fact that I work with great engineers, which gives me an opportunity to gain new knowledge and experience. 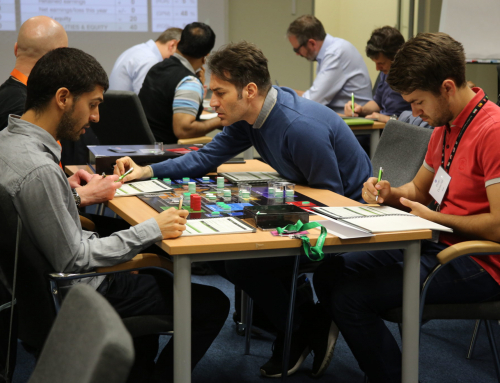 Daniel – The best thing is that I can improve my skills and work on interesting projects. Using the newest applications and technologies gives each engineer a lot of satisfaction. Pawel – I like the good atmosphere in the office and friendly relations between employees who are nice, helpful and honest people. This is probably the result of GE’s efforts to keep compliance and corporate culture on high levels. – In your opinion, is it worth to work at GE? Magda – I definitely think it is worth to work at EDC. This job gives you plenty of possibilities to contribute to the exciting Aviation business and also allows you to develop in various directions, either more engineering or more scientific, whatever you want. However, the most important for me is the fact that I work with great people here in Poland and all around the globe. Daniel – Each GE employee is a part of an international corporation which consist of different divisions. The company has many training programs that can help with improving one’s qualifications. Self–development possibilities along with a strong corporate culture make the work a real pleasure. Pawel – Yes, it definitely is, for several reasons. The most important are: good career opportunities, exposure to top technology, nice people and…. there is a good chance that a plane flying overhead has an engine made up by you.